AWP Computer Services’ online backup service provides a unique high level backup solution specially designed for all known operating systems, databases and applications. Nowadays when most, if not all, commercial and business information is stored in a digital form (on workstations and enterprise servers) a reliable backup service is a must. AWP online backup provides the best way in keeping the most important asset – your businesses corporate information – in a protected and secure environment. 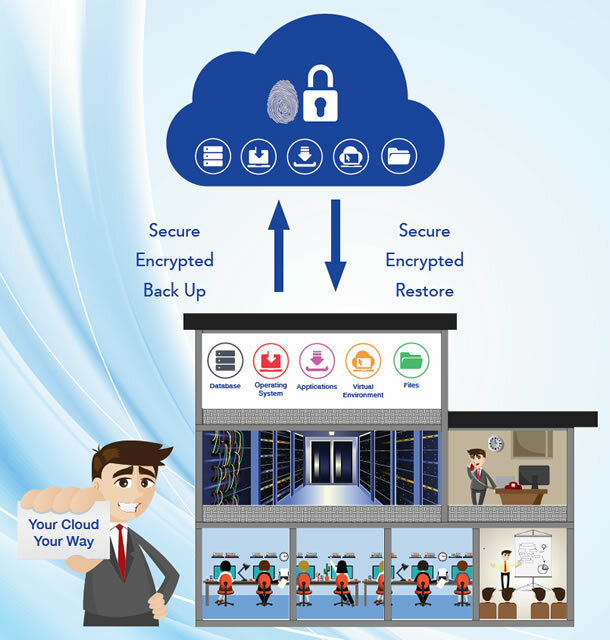 AWP Online Backup (Cloud Backup) services include Secure Encrypted Back Up and Secure Encrypted Restore. Only the people who have your key (password) will be able to unlock your back-ups after restore (recovery) which make them totally secure if they were to fall inot the wrong hands. AWP Computer Services’ Backup solution is a versatile backup application that allows backing up data to both local and offsite destinations, e.g. local hard disk, on-premises backup appliance, and managed online backup server located in our secured data centre. With such flexibility, we offer on-premises, online, or hybrid backup solutions based on each customer requirements. AWP Computer Services’ client includes dedicated backup modules for VMware, Hyper-V, Microsoft Exchange Database Availability Group (DAG), Microsoft Exchange Database, Microsoft Exchange Mailbox, Microsoft SQL Server, Oracle Database, Lotus Domino/Notes, MySQL, Windows Bare Metal and many more. These variety of modules provides almost any need for secured backup and high business continuity. The high compression rate combines with military grade encryption insures a quick and reliable backup. AWP Computer Services’ backup client is equipped with speed optimising technologies, including multi-threading, In-File Delta, fast indexing, small files optimisation, unwanted file exclusion filter, etc. No one wants to experience trouble during restore. AWP Computer Services’ Online Backup provides 100% successful restore service, as the corresponding Data Sets will have regular CRC (Cyclic Redundancy Check) integrity checking mechanism ensures the backed up data to be 100% restorable. With all the above benefits included, AWP Computer Services’ online backup service still offers competitive pricing, with a comprehensive backup application for online backup. For free advice and more information about AWP Online Backup Services please don’t hesitate tocall us or alternatively contact us through the web site.